An opportunity to visit The Open Championship, Carnoustie, Scotland, in luxury. Including five nights high quality accommodation in Edinburgh, luxury executive coach transfers from the hotel to The Open Championship on each of the four Championship Days and official admission badges to The Open Championship. Take the strain out of your visit to The Open. Indulge in an unforgettable holiday to The British Open 2018 including a visit to Edinburgh. 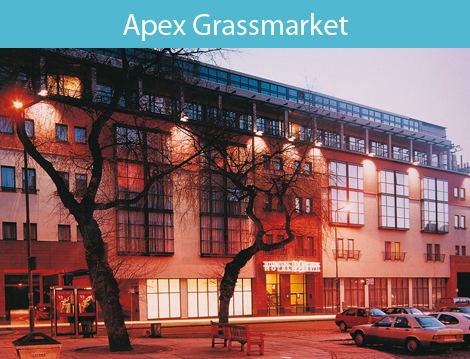 Fascinating history and iconic sights surround The Apex Grassmarket Hotel. Located in the heart of Old Town Edinburgh it is in a most sort after location. You’ll love the Edinburgh Castle views from the hotel and the fact that within a few minutes you can be on the Royal Mile. In a glass-fronted restaurant with stunning Castle views, celebrated Edinburgh Chef Tony Singh brings you a mash-up of fusion food to share. 1. Platinum VIP Championship package - £2,740.00 for two persons fully inclusive as described including 20% vat. i.e £1370 including vat per person for the package.